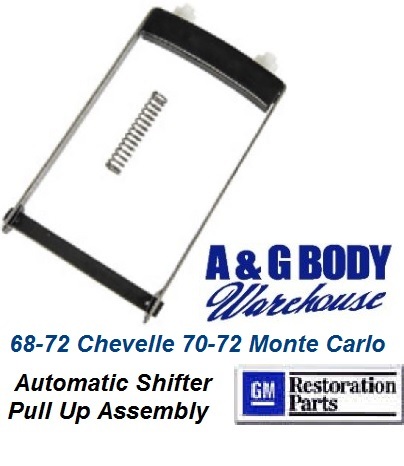 A ccurate reproduction of the inner shift handle pull-up mechanism assembly with polished stainless arms. Show quality, Spring, selector bar with retaining clips included. Why throw away a good shifter that simply needs the pull up assembly rebuilt!